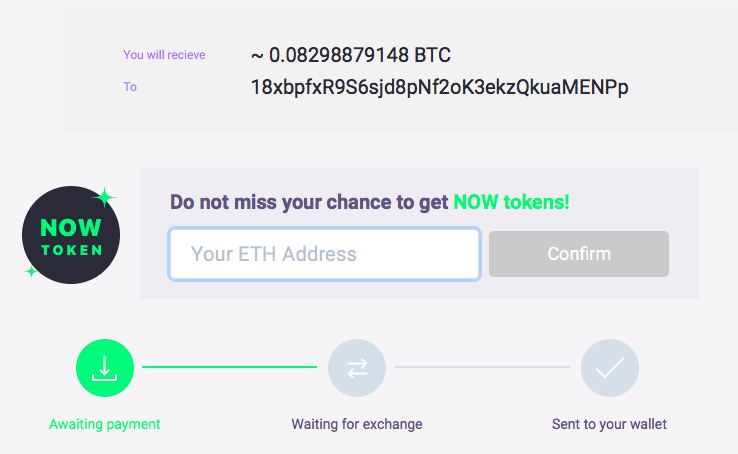 To participate, just leave us your ETH Wallet Address on the last step of the exchange process and you will receive NOW tokens the following Monday. NOTE: Use only ETH Wallet Address (ERC-20 Compatible). Do not use the addresses of exchanges and contracts. To participate affiliate partners have to enter ETH address in their account. NOTE: Use only ETH Wallet Address (ERC-20 Compatible). Do not use the addresses of exchanges and contracts. Also, we will run a bounty campaign and other significant events. Visit NOW token page to learn more about NOW token, follow us on Twitter to be up to date with the following NOW token distributions! If you have any questions please feel free to contact us at support@changenow.io.